On 23 June 2016 citizens of the United Kingdom (UK) voted to leave the European Union (EU). On 29 March 2017 the UK formally notified the European Council of its intention to leave the EU by triggering of Article 50 of the Lisbon Treaty. 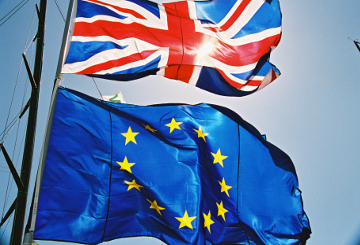 For the time being, the United Kingdom remains a full member of the EU and rights and obligations continue to fully apply in and to the UK - Read full statement. The Commission was appointed as the Union negotiator who will negotiate on behalf of the 27. The Commission nominated Michel Barnier as chief negotiator. It will report back to leaders and to the Council throughout the negotiation and will also keep the European Parliament “closely and regularly informed”. The Commission’s aim will be to ensure a maximum level of transparency throughout the negotiations. At a Special European Council on 29 April 2017, the EU27 leaders unanimously adopted guidelines for the Brexit talks ahead. These define the framework for negotiations and set out the overall EU positions and principles. On 3 May the Commission presented to the Council a recommendation for a Council decision on the Brexit negotiations. It includes draft negotiating directives (detailed mandate for the Commission). On 22 May, the EU 27 leaders adopted a decision authorising the opening of Brexit negotiations with the UK and formally nominating the Commission as EU negotiator. The Council also adopted negotiating directives for the talks. The first phase of the talks aims to provide as much clarity and legal certainty as possible and to settle the disentanglement of the UK from the EU. Once the European Council deems sufficient progress has been achieved, the negotiations will proceed to the next phase. An agreement on a future relationship between the EU and the UK can only be concluded once the UK effectively leaves the EU and becomes a third country. However, discussions on an overall understanding of that future relationship could start during a second phase of the negotiations. On 20 October, the European Council (Article 50), in an EU 27 format, agreed to start internal preparations for the 2nd phase of the Brexit talks. The 27 EU leaders called for more progress on citizens’ rights, Ireland and the UK’s financial obligations. They also said that at their summit in December they would reassess the state of progress to determine whether "sufficient progress" has been achieved on each of the three above issues, in order to move to the second phase of negotiations. On 8 December, the European Commission recommended to the European Council (Article 50) to conclude that sufficient progress has been made in the first phase of the Article 50 negotiations with the United Kingdom. The Commission's assessment is based on a Joint Report agreed by the negotiators of the Commission and the United Kingdom Government, endorsed by Prime Minister Theresa May during a meeting with President Jean-Claude Juncker. On 15 December, the European Council (Article 50) confirmed sufficient progress had been achieved and leaders adopted guidelines to move to the second phase of negotiations. On 14 November 2018, the European Commission recommended to the European Council (Article 50) to conclude that decisive progress has been made in the negotiations on the orderly withdrawal of the United Kingdom from the European Union, allowing the negotiations on the withdrawal agreement to be concluded and the next step of the process to be initiated. The negotiators have also agreed on an outline of the political declaration on the future EU-UK relationship. On 21 March 2019, EU leaders took note of the letter of Prime Minister Theresa May of 20 March 2019, in which she had requested to delay Brexit until 30 June 2019. They offered an extension until 22 May 2019. It will be granted if the UK Parliament approves the withdrawal agreement next week. If it does not, EU leaders agree to delay Brexit until 12 April 2019, expecting the UK to "indicate a way forward before this date". On 10 April 2019, EU27 leaders agreed to delay Brexit until 31 October 2019. Their decision was taken in agreement with the UK. EU27 leaders took note of the letter sent by UK Prime Minister Theresa May asking for a further extension to the Article 50 period. They agreed to an extension to allow for the ratification of the withdrawal agreement. EU27 leaders stressed that the UK will have to hold European Parliament elections if it is still a member of the EU between 23 and 26 May 2019. If the UK fails to hold the elections, it will leave the EU on 1 June 2019.